The Air Jordan 12 will be returning as part of Jordan Brand’s Spring/Summer 2016 lineup that will include this Air Jordan 12 “Gym Red” colorway. This brand new Air Jordan 12 is dressed in a Gym Red, Black, and White color scheme. The shoe features a full Red-based tumbled leather upper with White textured detailing overlays, and Black inner interior that rests atop a full White rubber outsole. Check out the additional images below and look for the Air Jordan 12 “Gym Red” release date to take place on July 2nd, 2016 at select Jordan Brand retail stores. The retail price tag is set at $190 USD. You can also scoop them up at anytime via eBay. 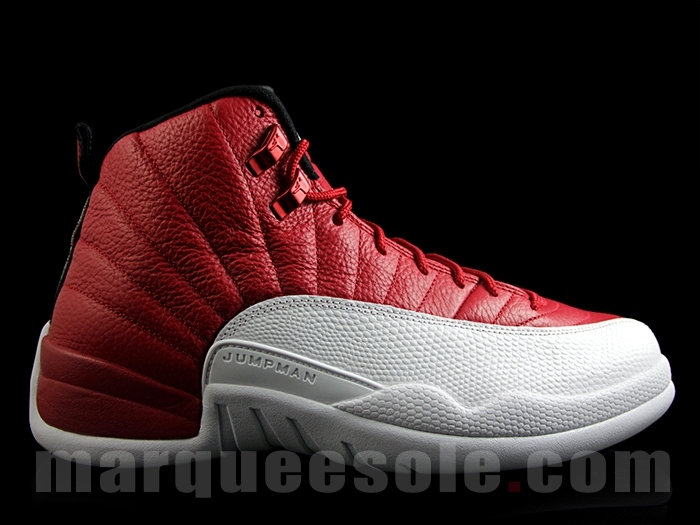 UDPATE: The “Gym Red” Air Jordan 12 dressed in the “Alternate” Chicago Bulls colors drops tomorrow. Cop or Pass? Images via Solebox. UPDATE: Check out the on-feet and video review of the “Gym Red” Air Jordan 12 below via @iAmTMCII. UPDATE: New images of the “Gym Red” Air Jordan 12 via Marqueesole. UPDATE: Here’s your best look yet at the Air Jordan 12 “Gym Red” via @realchickenwop. UPDATE: New images of the Air Jordan 12 “Gym Red” via @us11hustla. UPDATE: A closer look at the “Gym Red” Air Jordan 12 and depending on the lighting you can see how dull or bright the Red tumbled leather can look like. 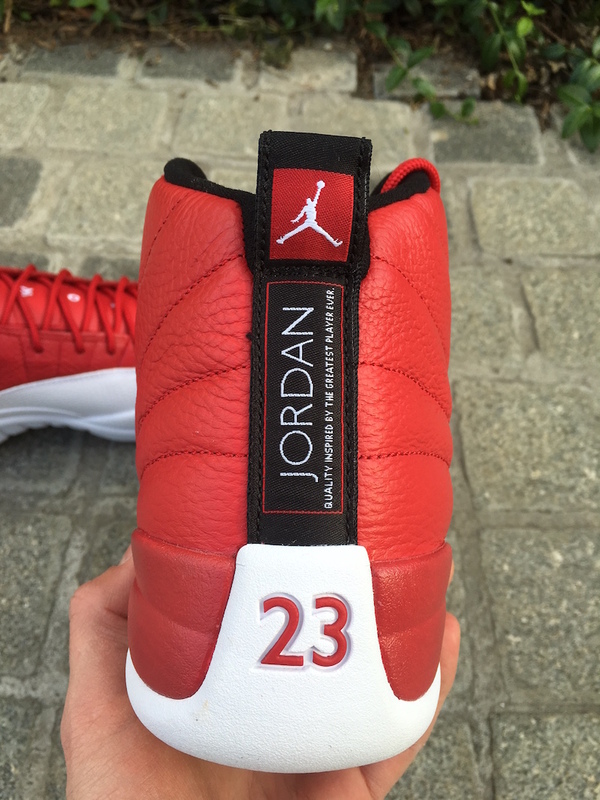 UPDATE: New images of the upcoming Red/White Air Jordan 12 Retro. UPDATE: More early images of the upcoming “Gym Red” Air Jordan 12 that will be debuting this July. UPDATE: Here’s a first look at the “Gym Red” Air Jordan 12 via @solespeed4image. UPDATE: While we are still waiting for a first look, we give you an idea of what the Air Jordan 12 “Gym Red” will look like according to @baltsneakershow. They’ll look just like this Mike Bibby PE minus the logo and with a Black inner interior. Stay tuned to Sneaker Bar for further updates as they develop. How many of you are excited for these joints? Leave your thoughts in the comments section.